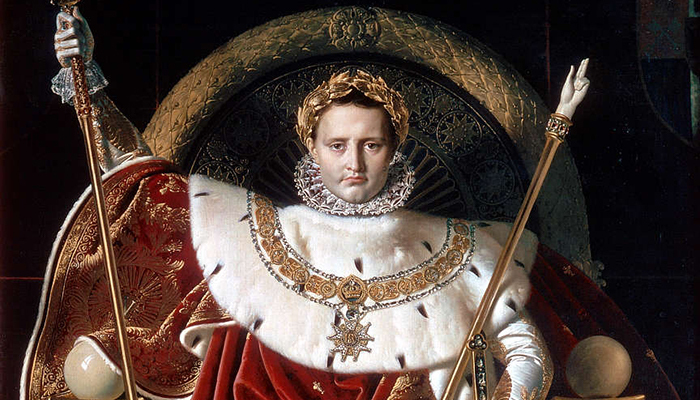 Jean Auguste Dominique Ingres: Napoleon on his Imperial throne (detail), 1806. De mortuis nil nisi bonum: of the dead, nothing unless good. But you can take it too far, re-inventing someone who was a power-hungry manipulator, by allowing no one to speak for him save his partisans, many of whom owe their careers to promoting him. As the French say, on a ras le bol with Pierre Boulez, whose death in January has called forth such a spate of idolatrous prose that the sceptics among us have begun to wonder whether French culture is not after all as dead as its critics say it is, if this minor composer and intellectual impresario can be lauded as its greatest recent product. Yet no one in the official channels of cultural appraisal has sown a seed of doubt. Boulez has three achievements to his name. First, his compositions, presented to the world as next in line to the serialism of Webern, and the “place we have got to” in our musical evolution; secondly, his presence in French culture, diverting government subsidies away from anything that might seem to endorse ordinary musical taste towards the acoustic laboratory of the avant-garde; thirdly, his work as a conductor, for whom clarity and precision took precedence over sentiment. His dominating presence in French musical life is proof that, once the critics have been silenced, the self-appointed leader will be accepted at his own valuation. Condemning all competitors as “useless”, and hinting at a revelation, a “system”, that authorised his doings as the musical Zeitgeist, Boulez was able to subdue whatever timid protests might greet his relentless self-promotion. His disciples and acolytes have spoken abundantly of his charm, and it is clear that, once the period of initial belligerence was over, and his opponents had been despatched to the dust-heap of history, Boulez was a smiling and benevolent occupant of his self-made throne. But did he rule from that throne over fertile territory, or was this sovereignty an expensive illusion? Boulez’s manipulation of the French subsidy machine has been explored and exposed by Benoît Duteurtre, in a book published in 1995: Requiem pour une avant-garde. Duteurtre tells the story of the steady takeover by Boulez and his entourage of the channels of musical and cultural communication, the new power networks installed in the wake of May 1968, the vilification of opponents, the anathematising of tonal music and its late offshoots in Messiaen, Duruflé, and Dutilleux, and the cultural coup d’état which was the founding of IRCAM. This institution, created by and for Pierre Boulez at the request of President Pompidou in 1970, reveals in its name – Institut de Recherche et Coordination Acoustique/Musique ­– that it does not distinguish between sound and music, and sees both as matters for “research”. Maintained by government funds in the basement of its architectural equivalent, the Centre Pompidou, IRCAM has been devoted to “sound effects” created by the avant-garde elect, whose products are largely, to coin a phrase, “plink selon plonk”. Absorbing a substantial proportion of a budget that might have been used to sustain the provincial orchestras of France, IRCAM has produced a stream of works without survival value. Despite all Boulez’s efforts, musical people still believe, and rightly, that the test of a work of music is how it sounds, not how it is theorized. Boulez did, from time to time, produce music that passed that test. He had a fine ear, and no one can doubt that every note in every score was intensely thought about – but thought about, and thought about as sound. Boulez’s was an acoustical, rather than a musical art, with meticulous effects and sonorities produced in unusual ways, according to arcane theories that are inscribed on the hidden side of notes held close to the chest. He burst into the concert hall as a young man in order to heckle the last attempts at tonal composition, dismissing all who were not serialists, and presenting his seminal Le marteau sans maître in 1955 as showing the direction in which serialism must go. The instrumentation of that work – alto voice, flute, guitar, vibraphone, viola and percussion – reflects the composer’s obsession with timbre and sonority, used here to prevent simultaneities from coalescing as chords. With time signatures changing almost every bar – a 2:4 here, a 5:16 there and so on – and grace notes dropped into every staff, the score resembles a palimpsest from an alchemist’s recipe-book, and the composer’s refusal to describe the serial organisation, insisting that it is obvious and apparent to the ear, has led to a quantity of learned literature. The writers of this literature largely assume that Le marteau is a masterpiece and the turning point of post-war music, because Boulez himself has said so – not in so many words, for he was far too modest for that, but because he pointed speechlessly to its evident perfection. Despite having been published in 1954 and 1957, analysts were unable to explain Boulez’s compositional methods until Lev Koblyakov in 1977. This is partially due to the fact that Boulez believes in strict control tempered with “local indiscipline,” or rather, the freedom to choose small, individual elements while still adhering to an overall structure compatible with serialist principles. Boulez opts to change individual notes based on sound or harmony, choosing to abandon adherence to the structure dictated by strict serialism, making the detailed serial organization of the piece difficult for the listener to discern. The Wikipedia article chooses there to close the discussion, with a reference to Lerdahl’s article. But it misses the real point. As Lerdahl argues, serialism construes music as an array of permutations. The musical ear looks for prolongations, sequences, and variations, not permutations, which are inherently hard to grasp. Hence music (music of our classical tradition included) presents events that grow organically from each other, over a repeated measure and according to recognizable harmonic sequences. The “moving forward” of melodic lines through musical space is the true origin of musical unity and of the dramatic power of serious music. And it is this “moving forward” that is the first casualty when permutations take over. Add the “plink selon plonk” of the acoustical laboratory and the result is heard as arbitrary – something to be deciphered, rather than something to be absorbed and enjoyed in the manner of a conversation. You can test this quite easily by comparing one of the many modernist masterpieces that Boulez condemned with a rival composition by the great man himself. From the beginning, in Le marteau, to the interminable instrumental twiddles of Pli selon pli, Boulez gives us music that has little or no propulsion from one moment to the next. 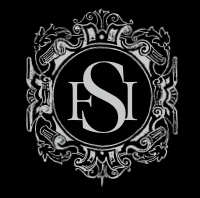 The fundamental musical experience – fundamental not just to our classical tradition but to all music that has been sung, played, and danced from the beginning of time – is that of virtual causality, whereby one moment seems to produce the next out of its own inner dynamic. This is the primary experience on which all rhythmic, melodic, and harmonic invention depends, and it is absent – deliberately absent – from Boulez. To say this is not to display an attachment, whether or not “bourgeois” or “reactionary”, to the old forms of tonality. It is to make an ontological observation: to say what music essentially is. So take a piece every bit as adventurous in its sonorities as Boulez, in which traditional tonality is marginalised, but which nevertheless adheres to the principle of virtual causality in musical space – say the violin concerto of Dutilleux, or the powerful chaconne movement from the same composer’s first symphony. At once we are in another world, a world that we know, moving with the sounds we hear, and hearing them not merely as sounds, but as movements in a space mapped out in our own emotions. I have to use metaphors in order to describe this experience – for reasons that I make clear in The Aesthetics of Music. But they are metaphors that we all instinctively understand, since they invoke the phenomenon of music itself. There is a reason for referring to Dutilleux, apart from the fact that it is the 100th anniversary of his birth. For he was, in his own way, every bit as adventurous as Boulez, with the same desire to take music forward into the modern world, to build on past achievements, and to take inspiration from the great achievements of French music, painting, and poetry at the beginning of the modern period. In the 1960s and 70s he was dismissed by Boulez and his entourage as a “bourgeois” composer, smeared as a “Nazi collaborator” (in fact he was active in the resistance), and excluded from the privileges of the true avant-garde. But his music, unlike Boulez’s, has a regular place in concert programs, and speaks to the ordinary musical listener in accents that are both new and (with a certain justified effort) comprehensible. If we look back at Boulez’s presence in French culture, during the years around 1968 when he was the Gauleiter of the avant-garde, we must surely understand him as the instigator of a false conception of music – not only of the place of music in high culture, and in the civilisation that is our greatest spiritual possession, but of the nature of music itself. He deliberately, and in my view uncomprehendingly, undid the distinction between musical tone and acoustical sound; he mathematized and scientized a practice that is meaningful only if it is seen as a creative art, and he justified every kind of intellectual pretension, just so long as it was intellectual, and just so long as it could be seen as the latest attempt to épater le bourgeois. Of course he was a true musician too. Faced with real music he had an instinctive grasp of how it might be performed so as to reveal all the currents of thought contained in it. As a conductor he set an example that many have wished to follow, and with reason. Still, even there, his personality showed itself. His meticulous version of Wagner’s Ring cycle shows a conductor who appreciates in thought what can be understood only in emotion. And this version will always be appreciated as a monument to our times, a kind of revenge on Wagner, which is also, when taken together with Chéreau’s marxisant production, a revenge on Germany. Seeing Boulez in that way, I think, we reduce him to his real size, and can begin to appreciate his true historical significance, as a by-product of a disastrous war. * “Cognitive Constraints in Compositional Systems”, in John A. Sloboda, ed., Generative Processes in Music, Oxford 1988. It’s all too true. The greatest attraction for young composers in the fifties and sixties was the disappearance, in the modernist world view, of the dimension of psychology and expression, together with tonality, from the art form: these were the most difficult elements to master if you wanted to be a composer and now, it was all restricted to a territory which could be treated with intelligence, hard work, and an imagination that went no further that the sonic surface. No difficult reflections upon the Soul any longer! No wonder there were so many postwar composers: writing music seemed suddenly much easier and clearer in its aims. What these people (Boulez, Xenakis, Stockhausen, Nono et al) should have done is openly declare the invention of a different art form altogether, and leave music alone so that composers still adhering to the tonal tradition, could continue undisturbed and be performed, instead of being sidelined as reactionary, clumsy cows incapable of understanding the emerging Brave New World. There is great damage done there: the loss of audiences’ goodwill – because that was not the type of audience modernism should have addressed. And indeed, in the course of time, getting tired of rejection, they created their own audience, flocking to the new music festivals and specialized ensemble concerts. But in the central performance culture the damage was already done and it still needs a lot of effort to convince that culture that it really DOES need new music, as part of its survival strategy, albeit only a small part of it, and that it can win back audience favor for their programming of new music, as long as they make the choices that really work.